With over 40 years of experience in freight forwarding we have come across almost every possible obstacle you can giving us the edge in knowing how to keep your freight moving in the right direction. Moving your freight around the globe is a complicated process with many legal and documentation requirements that we have seemless experience in complying with allowing you to relax knowing that Viking Cargo are on top of it for you. Whether it be Air freight or Sea freight, import or export or customs clearance, we are able to offer you a first class service matched by no other provider. Once you pass your booking to us we liaise with your customer or supplier and keep you up to date every step of the way. We have carefully picked a network of trusted agents worldwide that follow the same business philosophy as Viking Cargo and will treat your shipments with the attention and care that they deserve. In today's wholesale and retail environment, margins are tighter, lead times are shorter, and consumers are more demanding. The supply chain is always becoming more complex and is fraught with intricate technical requirements from start to finish, making it more expensive than ever to maintain your own warehouse. 3PL is the proven method to streamline your supply line and reduce fixed costs associated with inventory, storage and staff. Based in Sydney, Viking Cargo is small enough to offer personalised third party logistics tailored to your needs, yet large enough to give your business all the room it needs for future growth. 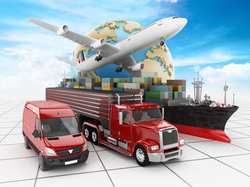 Whether you are a large or small business, we are the 3PL provider for you. Take the pressure off keeping track of all of your shipments and let the team at Viking Cargo handle the stress of liaising with suppliers and ensuring your freight is delivered when you want it, on time, every time. Low Shipping rates - you benefit from our high volume! Whether your business is just starting out, you want to move to a smaller premises without a warehouse. or you just need to reduce costs and improve your business agility and response time, trust the premier third party logistics company in Australia - Viking Cargo Logistics. that gives your company time concentrate on the important things.